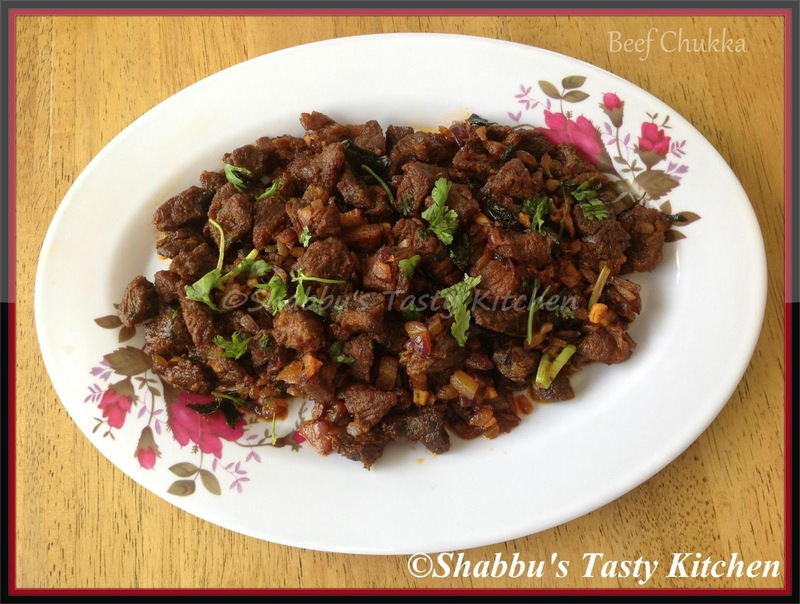 In a pressure cooker, add cleaned beef, chilli powder and salt and cook without adding water for 4-5 whistles . When pressure releases, open it and if there is any remaining water inside, cook till all the water dries up. Heat 4-5 tbsp oil in a pan and fry the cooked beef pieces till dark brown colour on medium flame and keep it aside. In the same oil (add more if needed), add chopped onions, ginger and curry leaves and saute well. Easy but irresistible dish. Looks inviting. it looks delicious..simple yet flavorful dish ..
wow...what an inviting dish!! I would love to have this with chapati!